As the winner of the Gordon Burn prize is set to be announced tomorrow evening (12th October)*, Josh Kimblin Varsity writer and student of history at Christ College, Cambridge, reviews the contenders. The Gordon Burn prize is an annual award which rewards a published title, of either fiction or non-fiction, which follows the spirit of Burn’s work: a piece which interrogates the past or reimagines it in fiction. 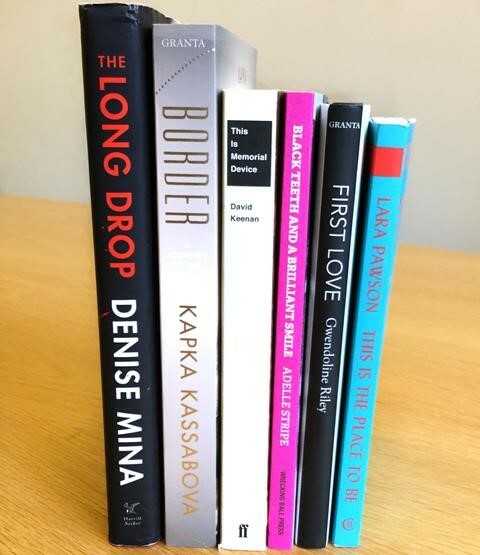 The books shortlisted for this year's prize certainly are an eclectic bunch. Their subjects include: an imaginary post-punk band based in northern Scotland; the life and work of the playwright, Andrea Dunbar; and one journalist’s experiences of civil wars in Angola and the Ivory Coast. The literary forms used stretch our assumptions about what constitutes a novel or non-fiction writing. In the case of This Is Memorial Device, David Keenan compiles twenty-six chapters of individual perspectives about the aforementioned band ('the greatest band that never existed'), written in interviews, diary extracts and barely comprehensible spoken narratives. The effect is to create a whole community of outcasts and misfits, while the story of the band itself is gradually weaved throughout. Meanwhile, in Lara Pawson’s This Is The Place To Be, the reader encounters an unbroken stream of associated memories, transcribed onto the page as they came to mind. Despite the differences in subject matter and form, the works are united in the fact that they address the past – either by recreating it, dwelling upon it, reimagining it in fiction or creating an entirely new reality. Indeed, the works do not simply address one past but pasts plural. The public past – the story of nations, empires and cultures – is the subject of Kapka Kassobova’s book, Border: A Journey to the Edge of Europe, which meditates on the long shadow cast by the Iron Curtain on the Balkan borderlands. An individual’s past is the subject of Gwendoline Riley’s First Love, in which a woman in a difficult relationship considers her past lovers, past arguments and past mistakes. Then there is the imaginary past: real and imagined features mingle in the work by Keenan, Adelle Stripe and Denise Mina. Many of these books approach the past in a deeply conscientious fashion. In Black Teeth and a Brilliant Smile, Adelle Stripe gives a fictionalised voice to Andrea Dunbar, the Bradford playwright. Although Stripe keenly emphasises that the work is fictional, it is the product of four years’ of research into Dunbar’s life. When Stripe shows how cruelly the young author was patronised and misrepresented by the contemporary press, you sense that fiction is serving to ameliorate the injustices of the true past. Perhaps more provocatively, Denise Mina’s The Long Drop explores a theory which casts doubt on the notional truth about the infamous Glasgow serial killer, Peter Manuel. In her view, the narrative brought out in the courtroom dock and recorded in the archives 'makes no sense'; instead, she suggests that the father and husband of a number of Manuel’s victims may have been complicit in their deaths. Although these are real lives and true stories, these novels smudge the distinction between reality and fiction. There is a similar theme of recovering and representing marginalised voices Keenan's book too. He speaks of his novel as a 'love letter' to small, peripheral, working-class Scottish town in which he grew up. His novel challenges the cliché that these places are uncultured and backwards. Instead, he presents an almost hallucinogenic image of a vibrant community, celebrating rather than bemoaning the opportunities presented by difficult circumstances. The effect is startling and profoundly touching: these are voices we rarely hear and we are left wanting more. In a very different fashion, both Lara Pawson and Kapka Kassabova take the reader to far-off regions – the African continent and the Balkans respectively – to report on unfamiliar stories. Pawson has commented on how little attention we pay to the civil conflicts in African states. Likewise, Kassabova brings to life a wilderness in the hinterland of the Western European imagination, where cultures mingle in patterns which are at once familiar but foreign. Both books provide revelatory new perspectives on the world, drawn from direct experience in distant places. Above all, however, the works share a common interest in humanity. In interviews, both Kassabova and Keenan have expressed sentiments relating to the ‘interconnectedness’ of humans: how culture and music bring people together, and how borders and class can divide them. Equally, Gwendoline Riley’s novel and Lara Pawson’s memory-marathon share a keen attempt to understand human emotion, memory and psychology. Taken collectively, the works represent a mosaic of human emotion and experience. Mercifully, they are also brief – Adelle Stripe suggested that her book could be read over three pints. So pick one up and enjoy it: you’ll receive a little piece of the past in return.